Tax Day is here and after the mad dash to April 17th, 2018 comes and goes, some taxpayers may still be dealing with tax issues for months down the road. For taxpayers that have to pay the Internal Revenue Service and may already be feeling the pinch, the following may be helpful tips for handling some typical after-tax-day issues. Getting a Refund! Where is it? 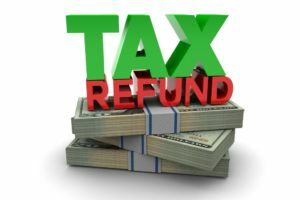 “Where’s My Refund?” here: https://www.irs.gov/refunds and for mobile users here: https://www.irs.gov/newsroom/irs2goapp. Both options allow the user to check refund status within 24 hours after the e-filed return is received or approximately 4 weeks after mailing a paper return. The primary social security number listed on the return, date the return was accepted, filing status, and amount of expected return are required to securely access the information. In cases of income not reported or receiving a correct income statement after the deadline, the IRS offers From 1040X, Amended U.S. Individual Income Tax Return: https://www.irs.gov/forms-pubs/about-form-1040x. Taxpayers can file an amended return to change filing status or correct income, deductions, or credits, but the IRS will correct math errors on the taxpayer’s behalf without an amendment. Although amended returns aren’t mandatory, nor required, tax advisors may agree that’s it’s a good idea if the tax return is out-right inaccurate when it was originally filed. Corrections must be thorough, even if that increases tax liability, and not hand-picked to only get more money. Additionally, timeliness is a factor and making corrections before the IRS finds the error is ideal. When deciding to file an amended return, only paper will do. Even if the original return was filed electronically, amendments must be submitted on paper. 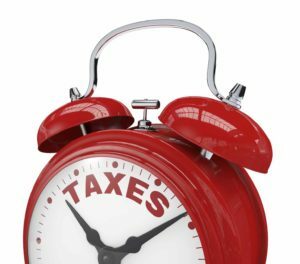 Missed the Tax Deadline on April 17th? Be smart when filing – before or after the deadline! When filing a return, the quickest and easiest way to receive the refund is to electronically the return and use direct deposit to get it. If money is owed, use IRS direct pay from a checking out or savings account to streamline the payments. Above all else, keep records and a copy of the filed tax return for three years from the date the original return was filed. Doing so saves a lot of trouble in the event the documents are ever needed.